To view the full WSN Cup Standings, please click here. The WSN Cup is an award that honors schools that provide and achieve success in many of the WIAA sponsored sports. The award totals points earned in both boys and girls sports. All WIAA sponsored sports are included as part of the scoring for the award. After trailing Middleton and Sun Prairie in the Large Schools Division (enrollment over 1000) after the fall sports season, 10-time winner Arrowhead is back on top after the winter sports. A state-best 254.5 points in the winter sports propelled the Warhawks into the top spot, helped by a second place finish from the gymnastics team and a state qualifying run from the girls basketball squad. Wrestling and boys swimming & diving also scored solid points, as Arrowhead sits at 589.5 overall. A trio of Big Eight schools follow, with Sun Prairie (509 points) in second place, Middleton (502.86) in third, and Madison West (404.86) in fourth. Brookfield East (359) rounds out the top five. Whitefish Bay (431.5 points) remains on top of the Medium Schools Division (enrollment 500-100), as the Blue Dukes are chasing their first-ever WSN Cup trophy after many years coming up just short. A state title from the gymnastics squad produced almost all the winter sports points for Whitefish Bay, as their 117.5 was second-most in the season behind Elkhorn's 145. In the overall standings, five-time winner Edgewood has moved into second place, defending champ Catholic Memorial is third, and three-time winner Notre Dame is fourth. New Berlin Eisenhower rounds out the top five. 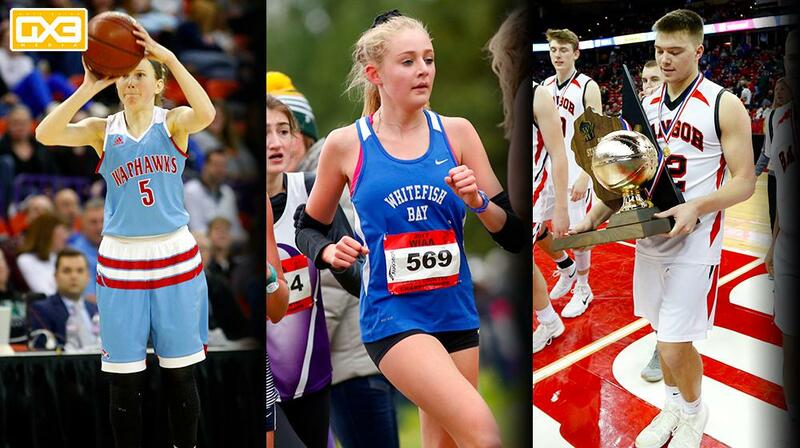 Bangor's unprecedented trio of titles in football, boys basketball, and girls basketball has the Cardinals on top of the Small Schools Division (under 500 enrollment) following the winter sports season. The two hoops championships helped Bangor score 222.5 points in winter sports, as their overall total of 367.5 is currently ahead of second-place Aquinas, an eight-time champion who has 328.09 points overall. Lake Country Lutheran, Valders, and Regis round out the top five. Divisions - Starting in 2008-09 schools will be placed in three divisions. The Large School Division is for schools with enrollment over 1000. Medium Schools are classified as 500 to 1000 and Small School division is below 500. In 2007-08 schools with enrollments of 900 or more were in the large school division while schools with enrollments up to 900 were in the small schools division. Points - Points are awarded for finishes in the state tournament of every team sport. Generally, the top 32 teams in each sport are awarded points. If less than 32 teams participate in a non-bracket sport state meet then those are the only schools that are awarded points. For Co-op teams the total points are divided equally amongst all schools in the co-op. For more information on the WSN Cup award and to see the full scoring system and rules, please click here.